Maine voters legalized smoking marijuana just to get high in 2016. They’d already decriminalized lighting it up for medical reasons seventeen years earlier. The state’s first combination pot convenience store and gas station opened in December. That’s why two Portland entrepreneurs, Matthew Bourgeois and Chris Blake, think it’s high time the state had its own glossy lifestyle magazine devoted to nothing but weed. Co-founders of Maine Cannabis Chronicle magazine, Matthew Bourgeois (left) and Chris Blake, light up a joint before an interview in Portland on Monday. The new glossy print publication drops its first issue on March 28. Called the Maine Cannabis Chronicle, the publication is due out at the end of the month. The first issue is set to be unveiled at Spring Cannabis Industry Mixer event in Portland on March 28. The pair are being advised by longtime marijuana legalization champion and activist David Boyer. To further their goal of complete marijuana normalization, Bourgeois and Blake agreed to fire up a joint and tell us more about their new magazine. 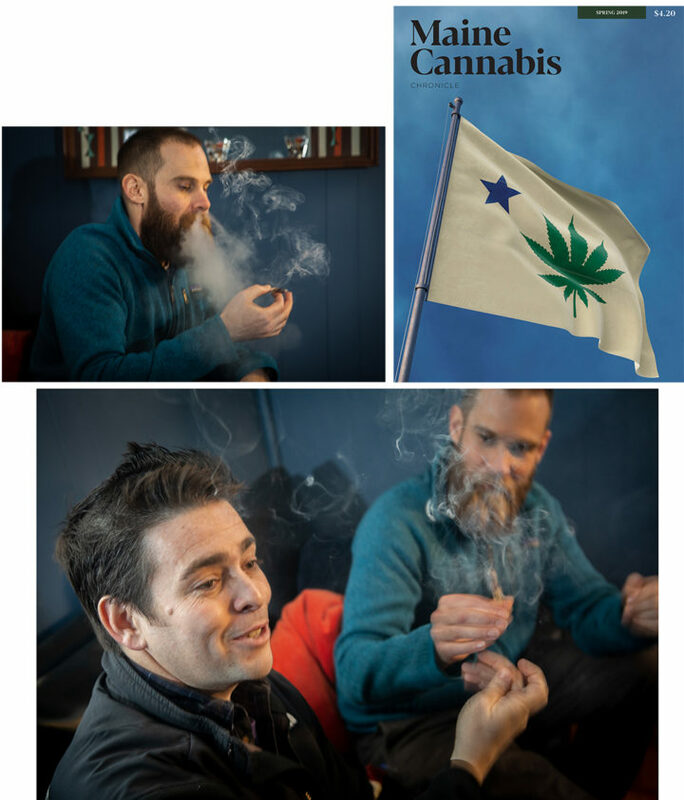 Maine Cannabis Chronicle magazine co-founders (above) Matthew Bourgeois (left) and Chris Blake enjoy some Maine-grown marijuana on Monday in Portland. The new quarterly print publication's first issue is due out at the end of March.